On the 10-12th of April EmailSuccess is attending the CSA Summit 2019 in Cologne. We’re excited to once again be sponsoring the event. Starting with release 11.19, EmailSuccess supports Rspamd, a fast, free and open-source spam filtering system. EmailSuccess will be able to test incoming messages against Rspamd through API calls, and accept them based on the score it returns. 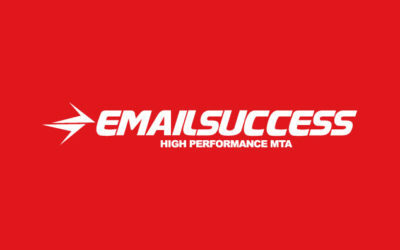 We are happy to inform you that version 11.19 of EmailSuccess has been released. This version brings with it new features and improvements such as new Collectors, integration with Rspamd and Java 11 support. We are happy to inform you that version 11.18 of EmailSuccess has been released. This version brings with it new features and improvements such as better management of STARTTLS connections, CPU usage optimizations and new Autotuning options. When choosing a Mail Transfer Agent (MTA), it is essential to check all your requirements and choose a solution that allows you to adjust all your sending parameters, thus helping you reach your goals. To show you EmailSuccess’ most important technical features, we have compared it with PowerMTA and MailerQ. Tell us more about your next delivery challenge!